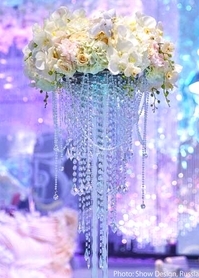 If you need to Decorate for a wedding reception, why not consider beaded curtains and chandeliers hung from the ceiling, around the room, behind the cake table, and behind the head table? 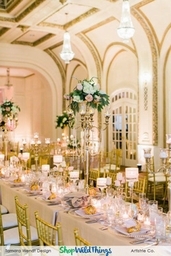 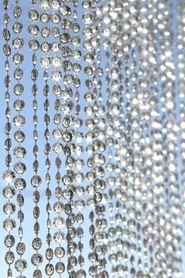 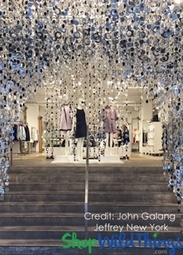 They add tons of glitz and glamour to the room without competing with your theme colors. 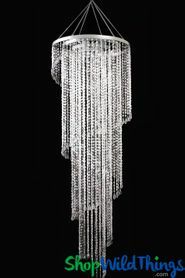 You can make our Crystal Beaded Curtains and Crystal Chandeliers any color you'd like by simply aiming your choice of colored light at them! 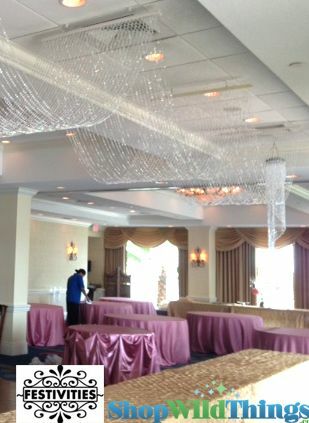 If you use no colored light, they will just sparkle and shimmer as shown in these spectacular photos shared by Tina over at Festivities in Ormonde Beach, Florida. 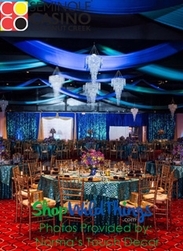 The ceiling treatment shown in the photos was made by Festivities using our beaded curtains and attaching the rods at the ends, but we also sell a ceiling drape and canopy that's ready to hang...see the links below! 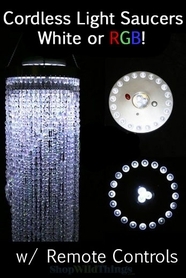 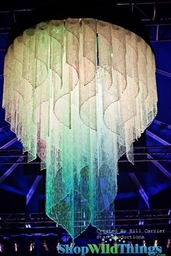 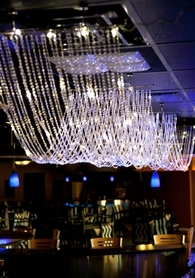 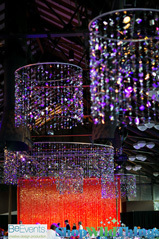 The lighting on top of the chandeliers that were used as centerpieces are our LED Light Discs. 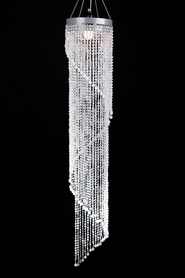 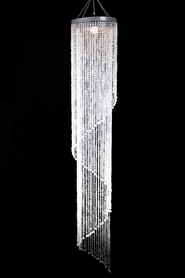 We also sell kits that include a Riser for your Chandelier Centerpiece. 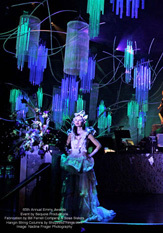 Below are many of the items used to create this beautiful event.